Stockbridge's Smith Elementary uses a system of behavior and learning interventions keep expectations high and kids on track. In Stockbridge what gets a lot of kids an at risk label is economics. Over 40 percent of the kids qualify for free or reduced lunch. But that doesn't mean their parents don't want their kids to do well. His special education status gets him the at-risk label. For those kids, economics, statistics, or in Brenden’s case, biology, work against them. These kids are more likely to disengage from school and then have a really hard time living up to their potential. 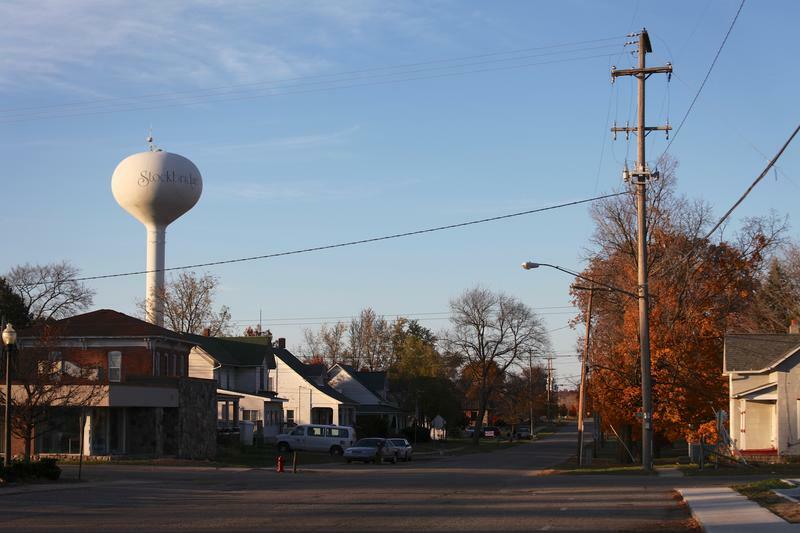 In Stockbridge what gets a lot of kids an at-risk label is economics. Over 40 percent of the kids qualify for free or reduced lunch. But that doesn’t mean their parents don’t want their kids to do well. Robin Lowe-Fletcher certainly isn’t writing her son off. "Our goals didn't change, from having a typical 16 year old to this child. Our goal is to have Brenden work and live on his own. I have talked to the principal and she too wanted to know our goals for Brenden. She was very caring, and even at the kindergarten level at least they know where we’re headed." Michelle Ruh is Brenden's principal. She has high expectations too, and knows she needs the parents to buy in. "It’s not learning your ABC’s and taking naptime anymore in Kindergarten. We expect our kids reading by the end of kindergarten. And that’s something we really have to work hard at. To get parents comfortable asking questions or coming into the school and saying I don’t understand, or how can I help my child." High expectations seem to make a difference. Brenden’s doing great in kindergarten. Most of the kids do well at the elementary school . Stockbridge’s standardized test scores there are well above the state average. Principal Ruh and her teachers use a system called, "positive behavior interventions and supports" (now called Response to Intervention). It works well with all kids, but particularly with at risk kids. The thinking goes that good academics come from kids being able to calm themselves down and self-regulate so they can learn. Many high performing charter schools have been using variations of this approach for quite some time. The state made grants available about six years ago for schools who wanted to give something like a try. Ruh jumped at the chance. Now the behavior system, which they call "panther pride" has become part of the strong culture at the school. When you walk into the building, right above the main office you’re greeted by a huge sign in the school colors that says "you are responsible for your own actions!" 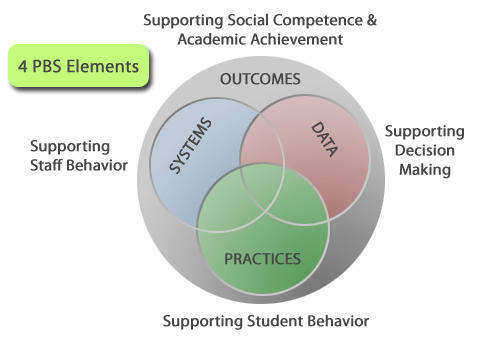 The Elements of "Positive Behavioral Intervention and Supports"
Parents and students need to be comfortable with this system, and it requires a tremendous amount of buy-in from the teachers and staff. There’s lots of data collection, testing, meetings, but everyone I spoke to seemed really on board. That is probably in part due to Ruh, a force and clearly a gifted administrator. She chalks up a lot of her success to the teacher and staff in the school and the district’s superintendent, Bruce Brown. Brown is retiring at the end of this school year. Ruh says, It's going to be a challenge. It’s going to be new for all of us." Replacing Brown will be the current high school principal, Karl Heidrich. He is also popular with the teachers in his school. But, both he and Brown worry if the district will be able to keep innovating and implementing programs like RtI in the face of increasing financial pressure.